The club welcomes ham radio operators from all of Aiken County, South Carolina and surrounding counties. The club meets on odd months at the Public Service Station #2 in North Augusta, South Carolina and on even months at the Aiken Regional Medical Center in Aiken, South Carolina. 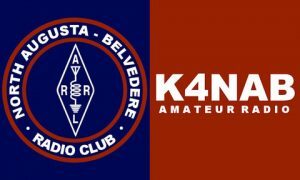 Our club callsign is K4NAB. We are a Special Services Club recognized by the American Radio Relay League. We offer amateur radio license testing, technical support and education on a wide variety of science related topics. We also sponsor the N4SMS club located at Schofield Middle School in Aiken, South Carolina. We work with the middle school students outfitting them with the knowledge necessary to pass their entry level exams.